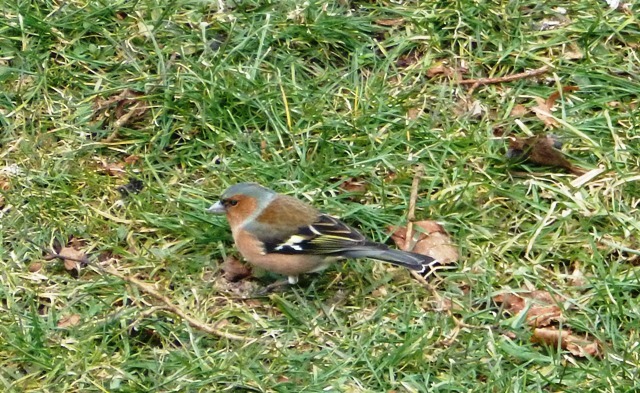 jardin-perdu / Chaffinch (Fringilla coelebs). French name: Pinson des arbres. French name: Pinson des arbres. Chaffinch are handsome birds, with the male having a pink breast and cheeks and a blue-grey nape. Whilst the females are less colourful, like the male, she does have two bold white bars on her wings. 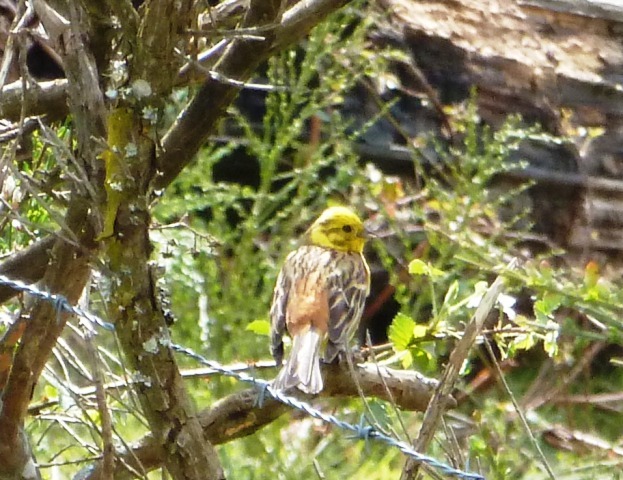 In France, Chaffinch are sedentary birds and can be found in woods and forests all year round. 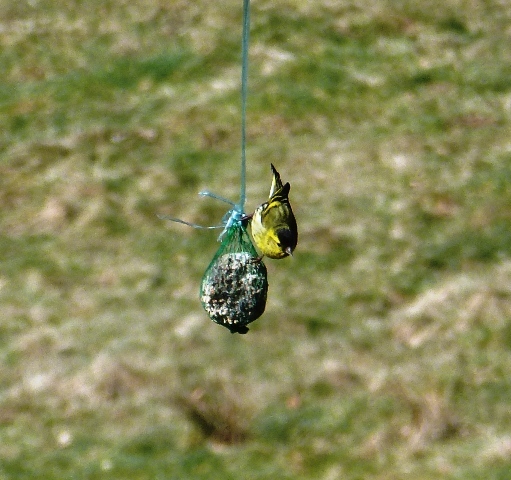 They breed between April and July when they build a nest made from moss and lichen, held together by spider’s web. The nest can usually be found in the fork of a shrub or tree. Chaffinch lay 2-8 light blue eggs which have purple-brown blotches on them. Incubation lasts between 10-16 days and the young fledge at about two weeks. Chaffinch prefer to feed on seeds, berries and insects such as caterpillars. 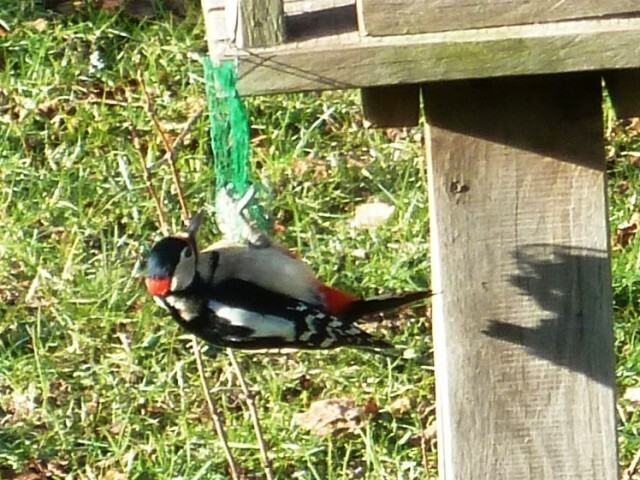 In winter they can be found feeding in gardens, but tend to avoid bird tables, instead preferring to forage on the ground beneath bird feeders for seed, or under hedges. To encourage Chaffinch into your garden ensure you put seed such as sunflower seeds on the floor close to trees or shrubs where they can fly to for protection. Look out for Chaffinch feeding in your garden now. Just this morning there were about ten Chaffinch in our garden, such a cheery site to see.